Home » Teachers Who Shaped The Nation » Is Tagore’s philosophy of education the way forward for India? Is Tagore’s philosophy of education the way forward for India? 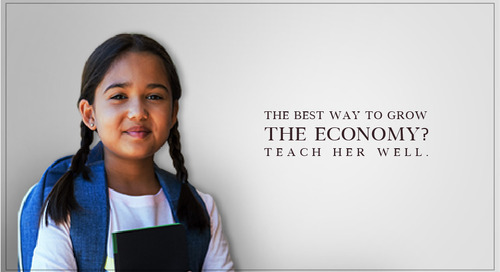 In modern India, the Western model of education has had the upper hand since independence. It is now being challenged by traditional models and beliefs. Both sides have argued their point of view. Could it be that both are right? Could the answer actually lie in the educational philosophy of Rabindranath Tagore, not just a poet, but someone who tried to evolve an entirely new approach to teaching? 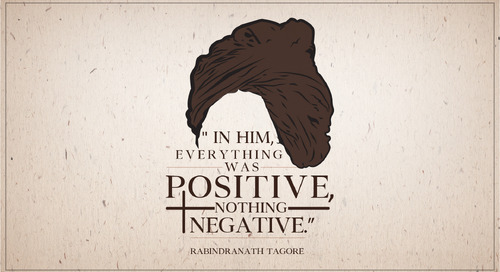 Tagore’s thought process evolved over time. In the nineteenth century, the condition of education in India was terrible. Our traditional education systems had withered, and the British had replaced it with a system characterised by rote learning, cold teachers, and a disconnect from anything Indian. Swami Vivekananda called it ‘a factory for producing clerks.’ During his formative years, Tagore became extremely nationalist, in reaction to what he saw around him. In his 1896 satirical essay, ‘Coat and Trousers’, he mocked progressive Indian sahibs who wore English clothing, but did not allow their wives to wear Western dresses. In 1901, he set up a small ashram school in Shantiniketan, based on the ancient Indian forest schools, to demonstrate an alternate model for education. At its heart was oneness with nature - classes were held under trees and open skies. The teacher-student relation was modeled on the guru-shishya system, with its emotional closeness and individual attention. Indian art and culture were integral to its ethos. In these early stages, Shantiniketan was designed to keep its students rooted in the soil of India. During this period, Tagore was strongly anti-Western. He disliked their soulless pursuit of power and money. Up to the early stages of the Swadeshi movement, he was an enthusiastic nationalist. With the rise of Gandhi, his enthusiasm began to wane. There was great respect and affection between the two men. They gave each other the names ‘Mahatma’ and ‘Gurudev’. But Tagore was very critical of narrow nationalism and the frothiness of chauvinism. He believed that rejecting foreign things was contradictory to the inclusive spirit of India, and the essence of Advaita philosophy. In this third phase of his evolution, Tagore tried to synthesize the national and the international. In 1919, he established Visva-Bharati (World-Indian) University, with the motto ‘Yatra visvam bhavati ekanidam’ – ‘where the whole world forms a single nest.’ It was designed to champion universal friendship, and required acceptance of the whole world. In his 1919 essay, ‘Visva-Bharati’, he said; to accept the truth of our own age it will be necessary to establish a new education on the basis, not of nationalism, but of a wider relationship of humanity. While this philosophy rejected ‘narrow nationalism’, it required a thorough understanding of India. We must try to understand how Indian genius expressed itself, he emphasised, unless we try to put these things together and discover the integrating factors behind these diverse streams of thought and make them a subject of study at our universities, we would only be borrowing knowledge from abroad. Built on this foundation would be a wider relationship with humanity. His approach was neither single-mindedly Indian, nor blindly Western, but inclusive. It was defined by a strong and constantly evolving sense of self. For Indian educational institutions to achieve the pinnacle of excellence that they once enjoyed, Tagore’s approach may well hold the key. 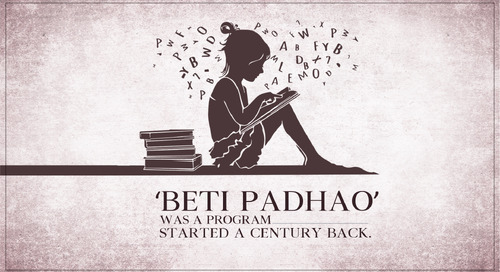 Savitribai Phule: who started the first school for girls and initiated women empowerment. 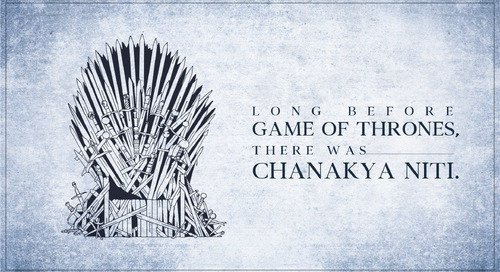 Chanakya: who defined law, economy and duty that helped and sustained an entire kingdom in India. Through their teachings it’s now time for you to attain knowledge and wisdom both and understand the true meaning of education. Why is Swami Vivekananda the maker of modern India? 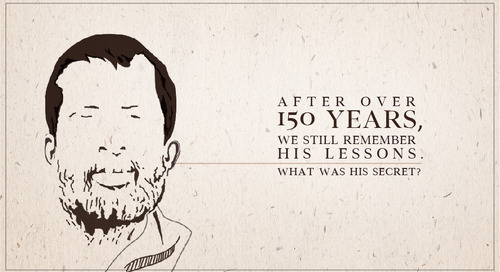 6 ways in which Ramakrishna Paramhansa can make you a better teacher.